Our new KastKing Masters Premium Monofilament Line is the finest monofilament fishing line available anywhere. 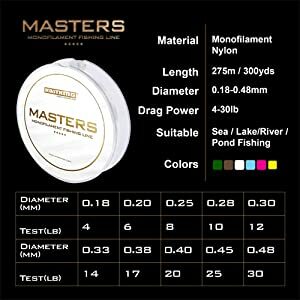 KastKing Masters Monofilament is the perfect balance of strength and durability with superior handling and a thinner diameter for easy long range casting. 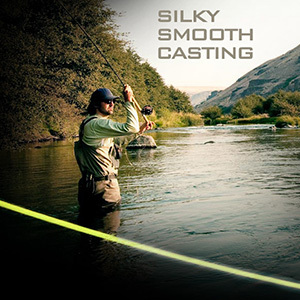 Our superior winding technology eliminates line memory for worry free spooling and cast control. Perfectly sync knots down tight without sacrificing tensile strength. 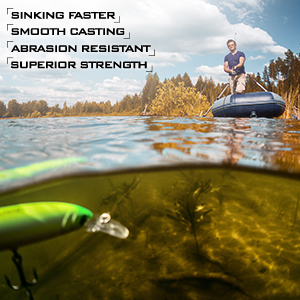 All around smooth casting with super abrasion resistance and uncompromising performance. This KastKing Masters Premium Monofilament Line is unlike any monofilament line you have ever tried. With Masters Monofilament, gone are the headaches and handling difficulties that you find with most other brands of monofilament. Unlike any other monofilament, KastKing Masters has a soft and supple feel that allows for easy and hassle-free spooling, handling, performance, and an overall pleasant fishing experience. Our Superior Precision Winding significantly reduces annoying line memory that is almost always associated with mono line. 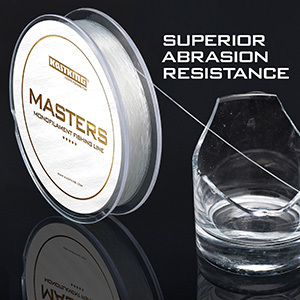 KastKing Masters Mono Fishing Line provides the perfect balance of extreme strength and toughness with easy handling, effortless casting and incredibly smooth performance. KastKing Masters Monofilament Fishing Line gives every angler form beginner to tournament pro, the edge they need to be successful. KastKing Masters Mono is the only monofilament line you will ever need. Once you give it a try, you will never look back. 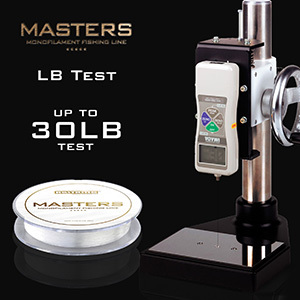 KastKing Masters Monofilament Fishing Line is the perfect balance in a premium mono line of strength and durability with superior handling and a thinner diameter for easy long range casting. The finest mono for the demanding angler; great tensile strength to prevent breakoffs. KastKing Master line has a powerful tensile strength. Thinner line diameter makes it nearly invisible under water. Casting faster and smoother with master mono line. Great line! The pink is almost undetectable. I will purchase this line again. It has held up good for bass fishing. Great lime for the price!